When they are not able to conceive naturally, many couples turn to in-vitro fertilization to become pregnant. Unfortunately the cycle may not be successful causing many to undergo several rounds of IVF before a viable pregnancy is achieved. Some never receive the pregnancy they had hoped for. A new type of IVF testing, however, hopes to change all of that. According to current statistics, the success rate worldwide for IVF is about 30%. Many fail due to chromosomal abnormalities. These abnormalities are the focus of the new form of testing. Dr. Dagan Wells and his team at Oxford University have been working on a testing procedure that would test all embryos for chromosomal abnormalities as well as two new markers that could cause pregnancy failure. With this new line of testing, the success rate of IVF could increase to about 70% in the very first cycle. Before being transplanted into the mother, the embryos are grown for five days in a laboratory setting. They are then tested and analyzed to determine the chromosome number. 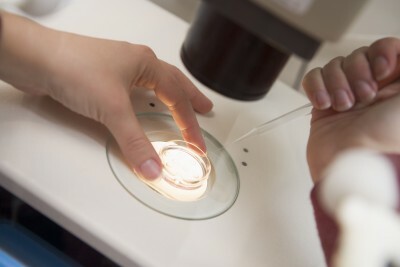 Embryos that are healthy are transferred to the mother. Those that are not healthy are not transplanted. Looking at the current success rates, 70% seems like a massive achievement, but the study authors say it’s not enough. Their goal is to push the success rate of the first IVF cycle as close to 100% as they possibly can. The testing method has already received a great deal of attention. In fact, the scientific community is so excited about the potential of the testing method that the U.S. Society of Assisted Reproductive Technologies has already presented an award to the study authors.